We find it difficult to believe that Jack Hammer 2: Fishy Business is as old as it is. 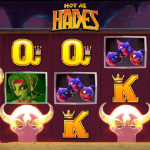 This online slot by NetEnt first hit our screens back in 2013 and is now amazingly approaching its fifth birthday. It feels like it was just a couple of years ago that this was released but either way, this slot is still more than capable of standing up against any other slot out there right now. Themed around the Marvel comic here Jack Hammer and a sequel to the first Jack Hammer slot, this 5-reel, 99-payline slot has always been one of our favourites. From the superb graphics that it has to a bunch of unique bonus feature that it provides, Jack Hammer 2 deserves its place alongside the best slots of all time. A return-to-player percentage of 97.10% is also pretty impressive and what you can be sure of its lots of action due to its low variance. That action is increased dramatically due to features such as Sticky Wins, free spins, multipliers, wild symbols and sticky wilds. Sticky Wins, in particular, is a feature that we just know that all players are going to love when they try out this slot at their online casinos. We cannot get enough of this online slot and so it would seem do many other players at the online casinos. Continue reading if we have managed to get you interested in what Jack Hammer 2 can provide its players at the casinos. A first look at Jack Hammer 2 will have you brimming with excitement at spinning the reels, as the colours and graphics will instantly draw you in. Everything has been designed to make this online slot look like a comic book, with the typical comic style drawings and artwork. What we like about this online slot is that there are no standard boring symbols on the reels such as playing cards or fruits. Instead, your lower value wins will come from symbols such as a microphone, violin case, a barrel of fish and a speedboat while the larger payouts will come from the symbols of the four main characters. As for the bonus symbols, you will have a self-explanatory wild symbol that is labelled as ‘wild’ while you will also have an electric eel which represents the free spin symbol. There will also be symbols for the two random wilds that can show up during the free spins round. We also think that the betting range for Jack Hammer 2: Fishy Business is a good one as it allows for a max bet of 250.00 per spin. A minimum bet of 0.50 is a little high but more than worth it considering the low variance of this online slot. Do remember that this is a fixed-payline slot, so you do not have to worry about selecting paylines or anything and can just basically set your spin amount to what you like to risk across the 99-paylines. There is nothing too exciting about the wild symbols on Jack Hammer 2 but they do what you might expect. Should one land on your reels it will have the ability to act as any other symbol on the reels in order to help you complete any wins. Wild symbols are always handy to have around and while these wilds do not have any additional benefits like they do on some other online slots, the next two excellent features more than make up for it. Easily the best feature on Jack Hammer 2: Fishy Business is that of its main feature. This is the Sticky Wins feature which is constantly in action in the base game and in the free spins round. How it works is that whenever you create a winning combination on the reels, they will stick on the reels for a further spin – which is free. Should that free spin see any more symbols attach themselves to the winning combination you already created, they will all stick in place again for yet another free spin. This keeps going until you fail to add to the combination and it is at this stage that all of your winnings are calculated. Another great feature on Jack Hammer 2: Fishy Business is that of the exceptional free spins round that it has. 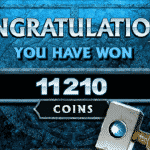 You can be given as many as 20 free spins that have a multiplier of 2x attached to any wins that they bring in. Additionally, each spin will also see a wild symbol placed in a random position on the reels in view. This is activated by landing 5, 6, 7 or 8 electric eels on your reels and depending on how many you found, you will be given 10, 13, 16 or 20 free spins. Fantastic right? Well, just imagine the sort of wins you could pull in with this round alongside the Sticky Wilds feature above. Why Play Jack Hammer 2? Seriously, what is there bad to say about this fabulous online slot? You could argue that it has quite a high minimum bet but that is a minor issue. Everything else is essentially what most players would be looking for in an online slot. Jack Hammer 2: Fishy Business has the graphics, the animations, a high RTP and a low variance, huge playability and of course some fantastic game features that bring fun and potential to each and every spin of the reels. In our book, this is easily one of the best titles that NetEnt has released and one that we are always playing ourselves when we enjoy some online gambling. Even if you are not a comic fan, the features alone should have you rushing to your online casino to give this online slot a go. Believe us when we say that you will not regret trying out this slot. There is so much fun to be had and with so much action going on, you are never likely to get bored.